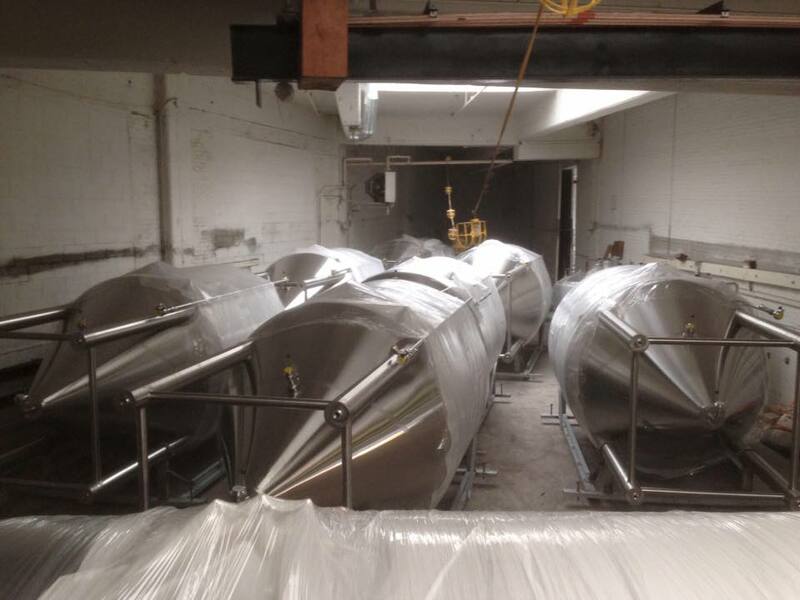 Dorchester Brewing > Get News And Updates on Our Blog > Brew Blog > WE’RE OFFICIALLY OPEN! Ok that was pretty mean, we know! 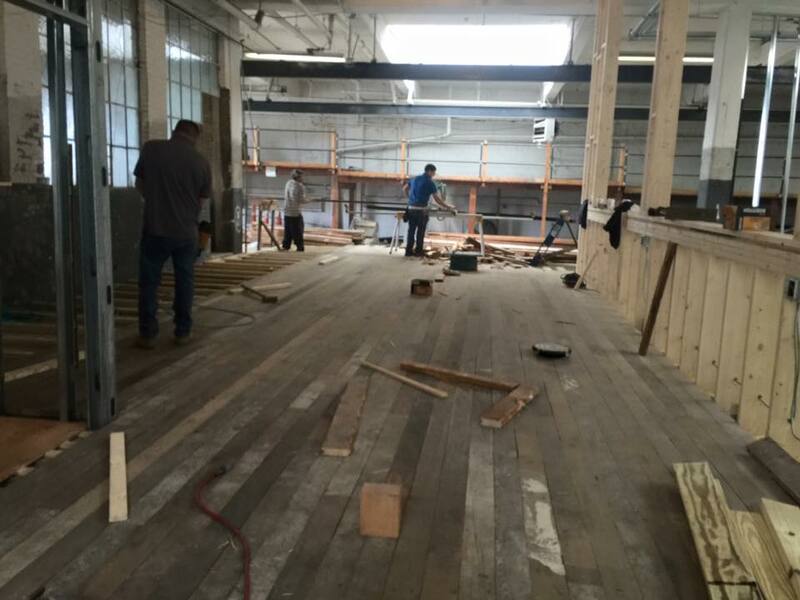 But, we do want to share the progress that we’ve been making over the past month so you can get excited about our opening. For those of you that follow us on social, you’ve likely been seeing our progress as it happens and this is a great way to see how far we’ve come over the last few weeks. 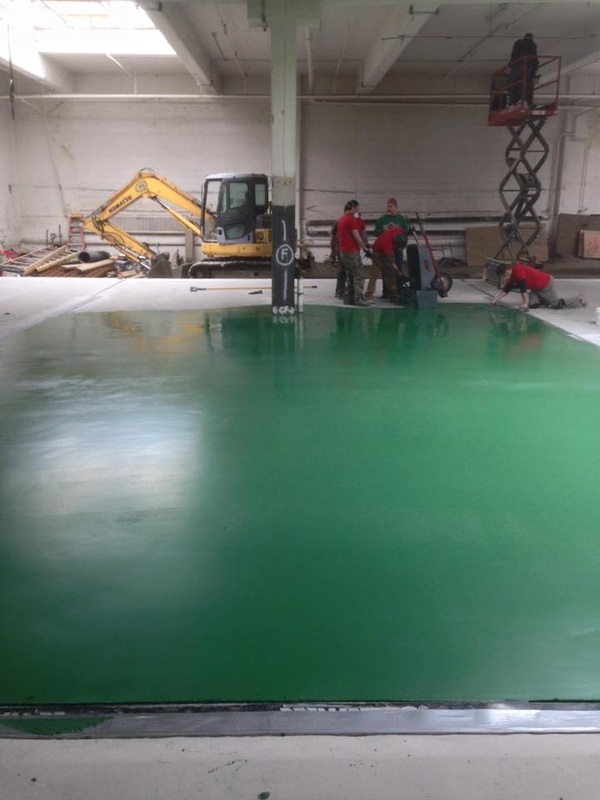 For the building interior, things are starting to look like an actual brewery – meaning, real floors, actual equipment, and visually seeing where our tasting room, brewhouse, packaging area, etc. are going to go. 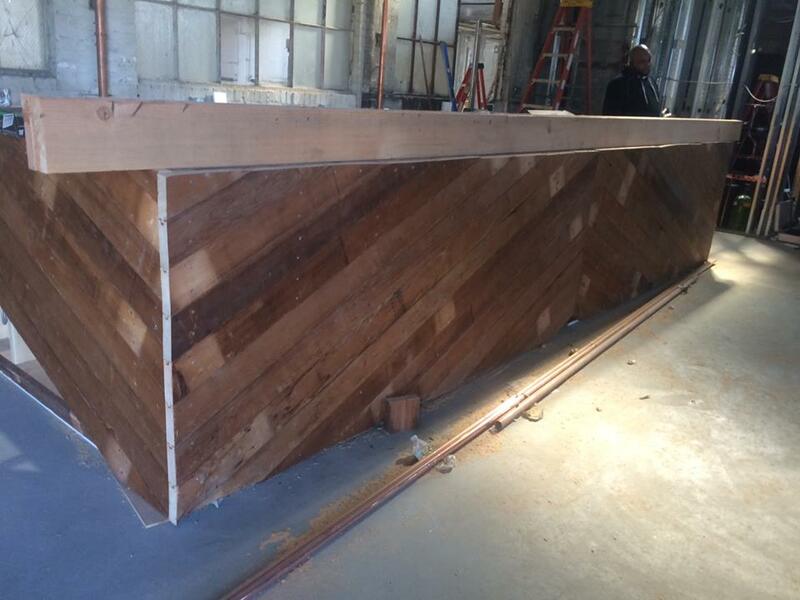 We’ve got the bar almost completed in the tasting room and walls going up all around. We even have some equipment in there and are planning to get it setup shortly. 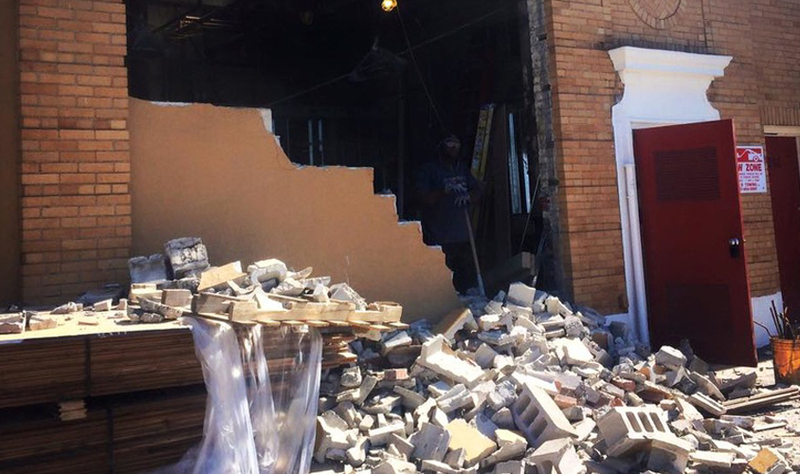 You never really know how much goes into construction until you’re in the midst of it and we can tell you from experience it’s been quite the adventure going over every tiny detail. And, moving on to the exterior, you’ve likely noticed quite a difference if you drive past our building even in the last week. 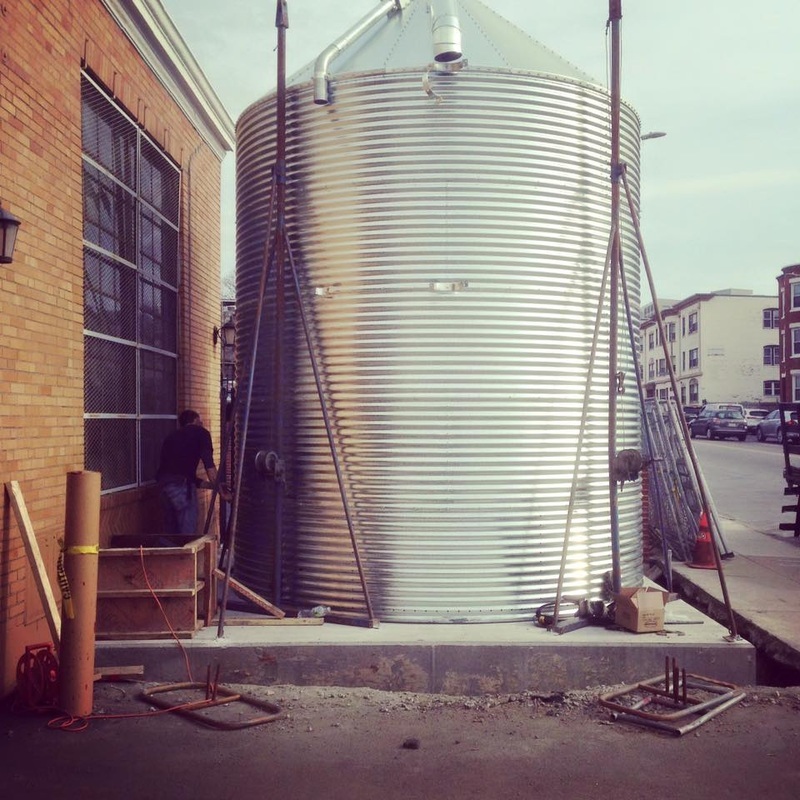 As the Boston Globe noted when they stopped by, yup, that is a grain silo! Well, mostly. It’s been pretty windy, so we’re waiting until the wind dies down for the final piece, which will raise the total height another 12 feet. We love that this is finally up, as it completely transforms the outside and makes it start to feel like a real brewery! 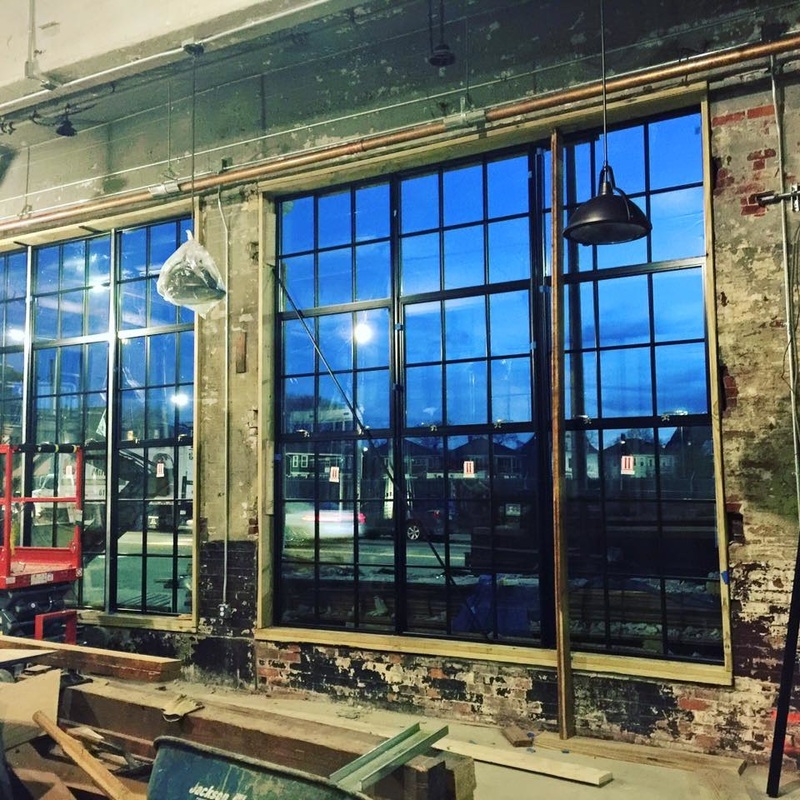 We also just broke through the front wall to put in our massive windows, which will create tons of light into our tasting room and gives passerbys a peak into our space. And, lastly, another update coming soon on the exterior, is our huge “Dorchester” signage, which you might have seen on the front page of the Dorchester Reporter. We wanted something to celebrate Dorchester itself and this sign was the perfect solution. We’re hoping to get it up within the next month. ​So, all in all, a pretty good month. Right now, the way things are looking, we are planning for an early June opening. So, definitely join our email list and follow us on Twitter, Facebook and Instagram to stay updated on the progress and get on our invite list to our opening celebration!